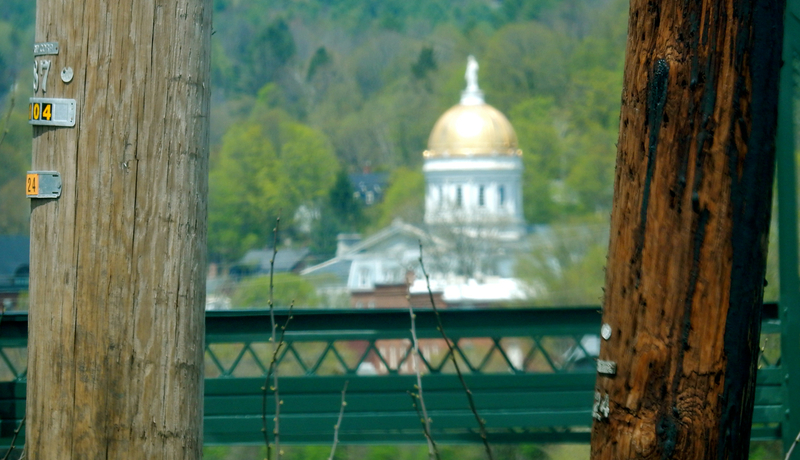 WHY GO: With a population of 7,500, Montpelier VT is the smallest State Capital in the USA, and, as a point of pride, the only one without a McDonalds. It’s also got a hippie (though not hip), socialist vibe about it. That’s not so surprising, given that Montpelier is Bernie Sander’s home away from home, one that perfectly exemplifies the Vermont State Motto: Freedom and Unity. 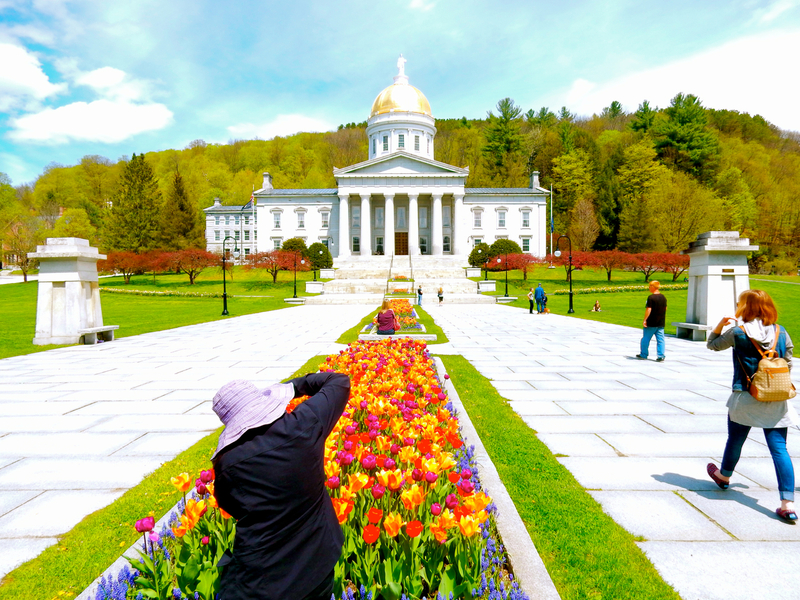 You can stay right in town in a lovely B&B, tour the State House, enjoy the best Maple Creemee (some say) in Vermont, shop one of the quirkiest pet shops on earth, and of course, drink the hottest craft beer and eat like a Head of State on this Vermont Capital getaway. 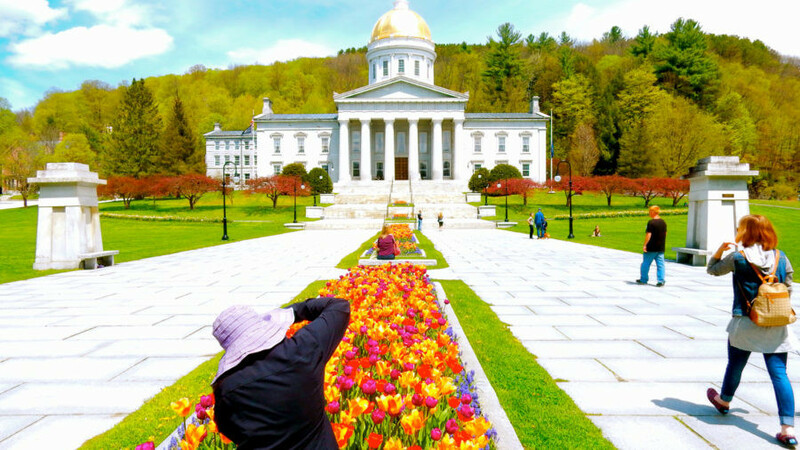 TOUR: The Vermont State House. Most stunning in Spring, when beds of multi-colored tulips run arrow-straight to the front steps, the plaza leading up to the front doors of this comparatively small State House swarms with photographers, even on days that the building is closed to visitors. Built in 1859, after a fire in 1857 claimed the building before, this Renaissance Revival structure, gold dome gleaming in the sun, is open for tours during the week only. Open Mon-Fri, 9-3, free tours on the half hour. 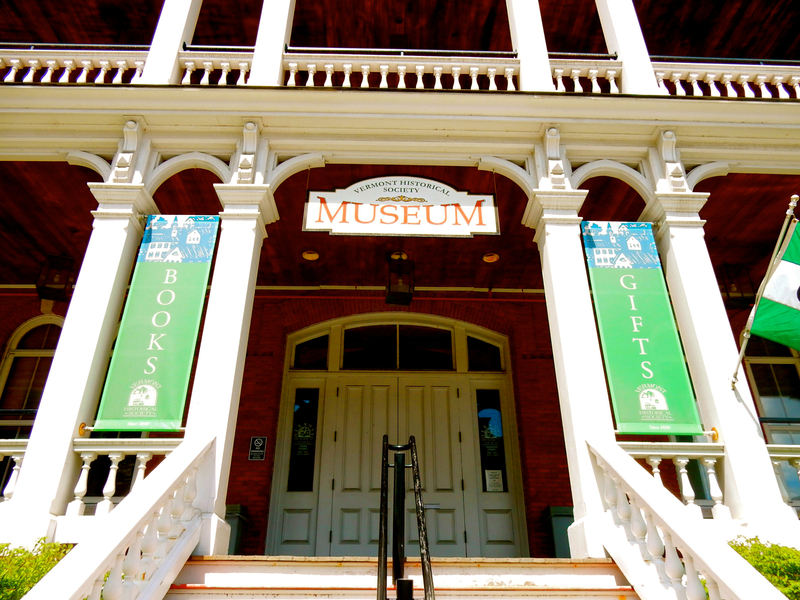 TOUR: Vermont History Museum. Walk in to this historic building and the first thing you’ll see is the last Catamount (Mountain Lion) shot in Vermont enclosed in a glass case along with the rifle that shot it. For some reason, kids love this somewhat macabre display, but there’s much more for adults to appreciate in this single floor, 5,000 sq ft. museum. 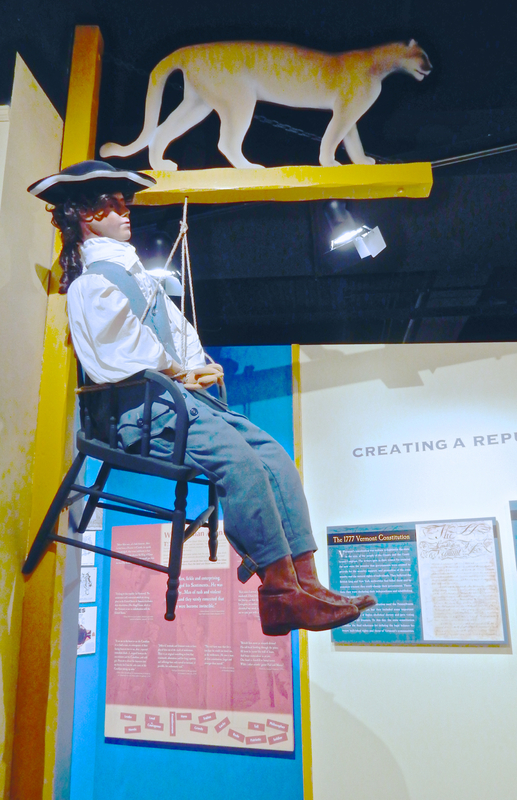 Go walk through a Native American Longhouse, step into a Colonial Era tavern, and learn why Sam Adams (yes, the namesake of the beer) was strapped to a chair that was hung from the Catamount Tavern sign to be ridiculed by the townspeople for a few hours. Don’t miss the 18 minute video, Freedom and Unity, which delves into three contentious issues debated and decided on in the State House; Slavery, Women’s Suffrage and LGBT Rights. Though it focuses on industries most identified with Vermont – Maple Syrup, Cheese, Stone (especially marble and granite), and Skiing – the museum does not shy away from its darker elements. 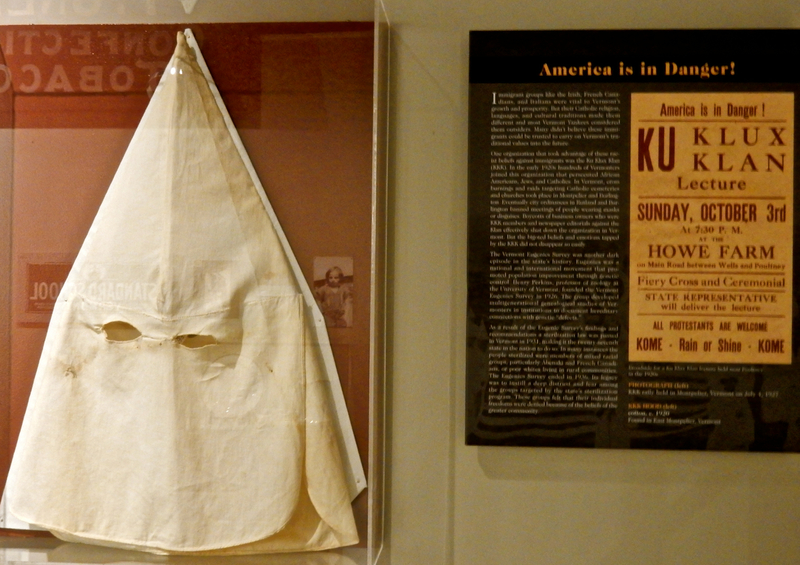 One display shows the prevalence of the KKK in the 1920’s coinciding with the influx of an immigrant work force. The more things change…… Open Tues-Sat. 10-4, $7 adults, $5 kids. TOUR/SHOP: Morse Farm Maple Sugarhouse. 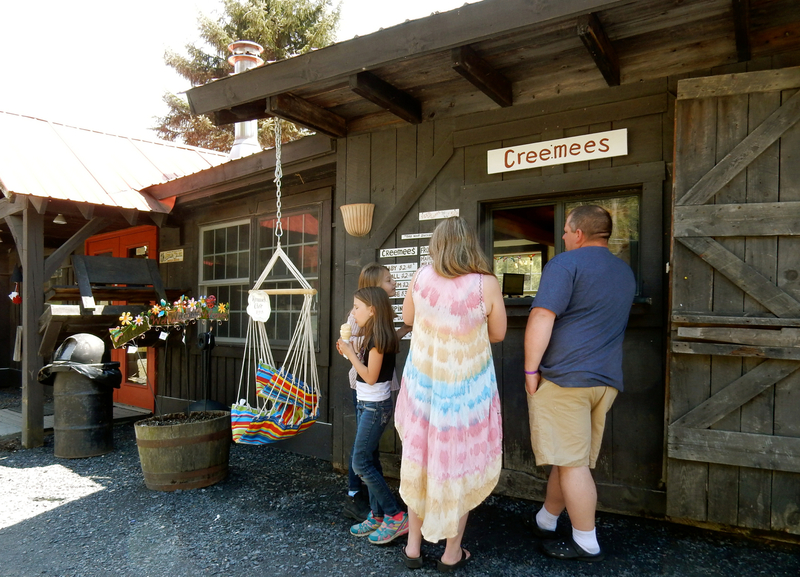 Ask for “Burr,” the burly owner/artist who is quick to tell visitors that he’s the 7th generation of Morse’s to be running this enterprise (60 years in this location, “150 years before that down the road”) and is local color personified. Burr’s dad was a dairy farmer who hated milking cows. “One day Dad said, ‘I’m getting rid of the critters. I want to start milking people.’” He began making maple syrup and in 1967, Dad Morse moved the operation here; closer to the State Capital where he’d be assured of a steady stream of year round tourists. Capitalizing on a growing number of Midwesterners looking for authentic New England experiences and real Vermont Maple Syrup, Morse marketed to bus groups from Illinois. When Tauk Tours joined up in the 1980’s, business really took off. 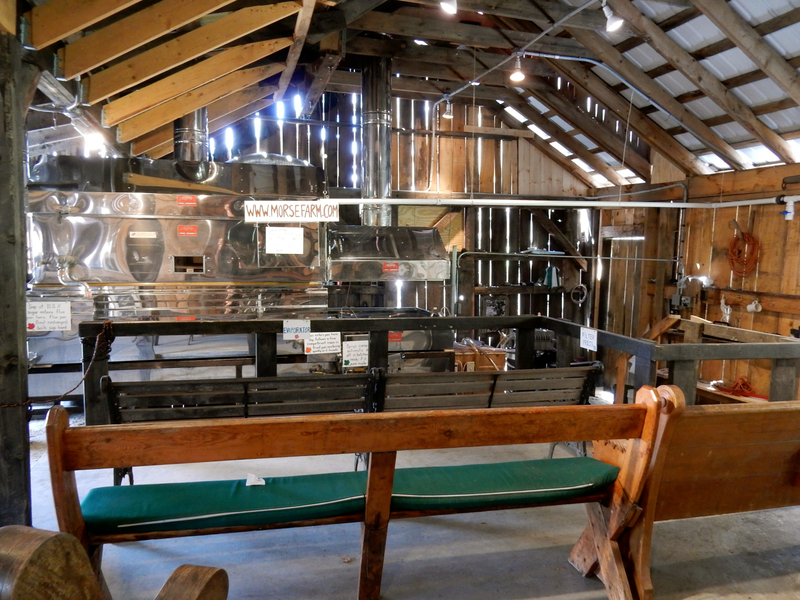 Morse Farm encompasses a store where of course you can purchase Morse Farm Maple Syrup. 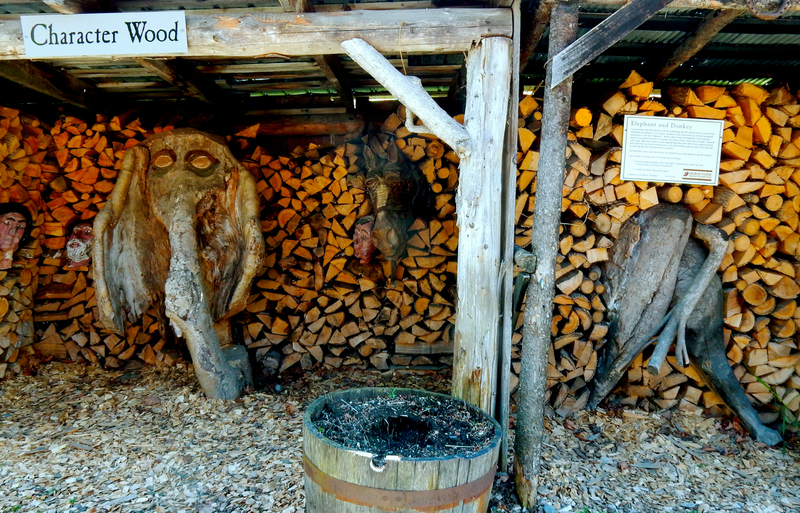 You can also watch a sugaring demonstration, buy a smooth Maple Creemee, voted the Best in Vermont, and see some of Burr’s irreverent “tree trunk” sculptures on site; one the head of an elephant and the back end of a donkey. Burr claims he is making no political statement – it’s just how the limbs came together. Who’s to say? Open daily 9-5. From Memorial Day to Labor Day, 9am-8pm. CINEMA: This tiny city of 7,500 has two, count ‘em, two movie theaters! 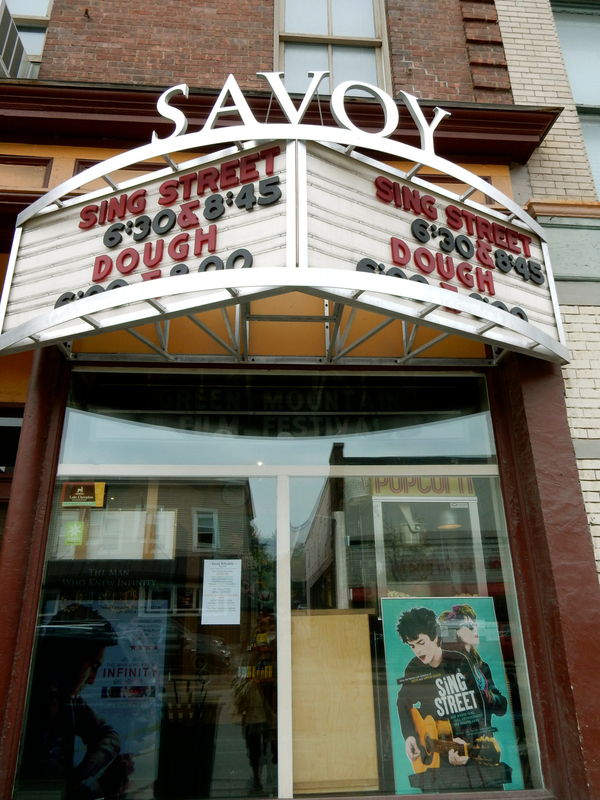 One shows current, first run flicks, and The Savoy plays the indie stuff. SHOP: The Quirky Pet. 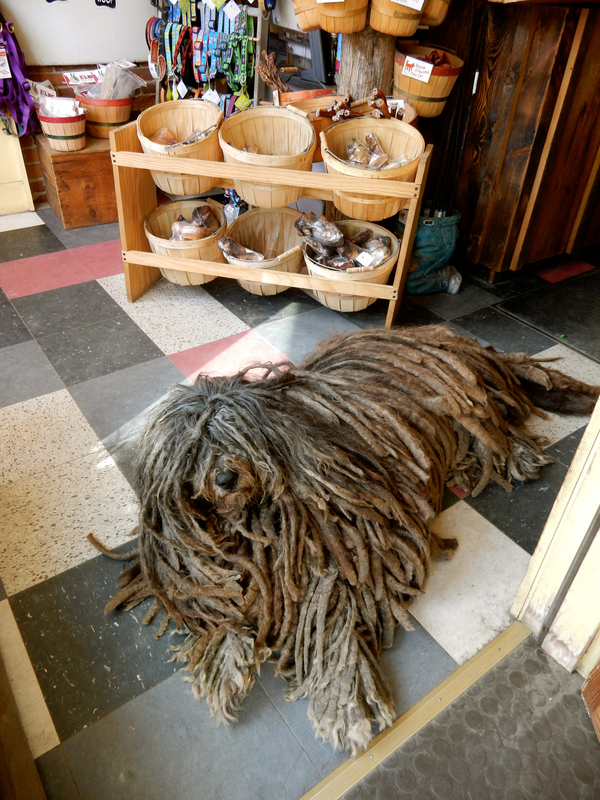 Your entrance might be blocked by one of three Rastafarian dogs called Komondors, Hungarian sheepdogs also known as Mopdogs, that the owner keeps in this funky pet shop. These canines might be the quirky pets to which the proprietor is referring, but she sells everything your own quirky pet desires. 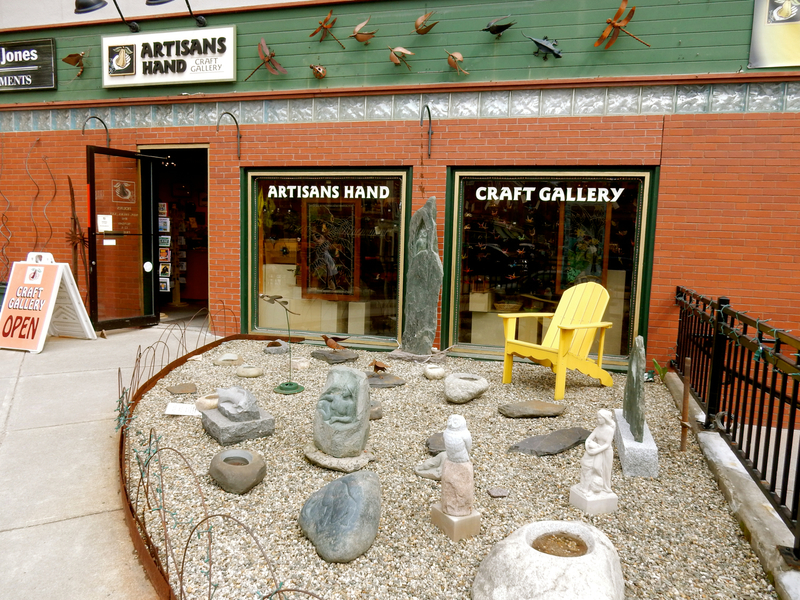 SHOP: Artisans Hand Craft Gallery. For lovers of local crafts in wood, glass and other mediums, this one does not disappoint. And the “Sale” table is incredible. SHOP: Bear Pond Books. An indie bookstore with a creaky old wood floor. My favorite kind. EAT/DRINK: Three Penny Taproom. 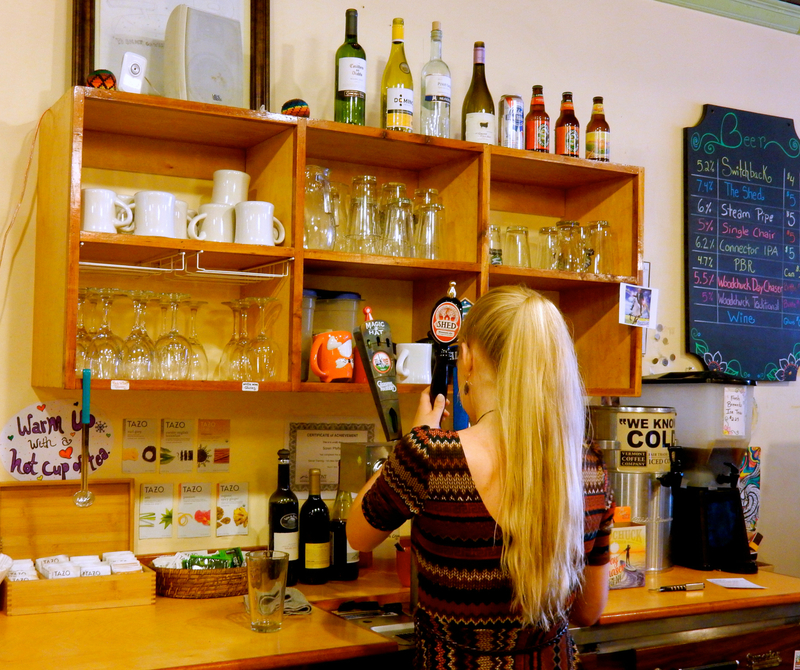 With 25 craft beers on tap, this place is first-stop for esoteric-beer hounds. Come in for a pint, even if you don’t plan to eat here. 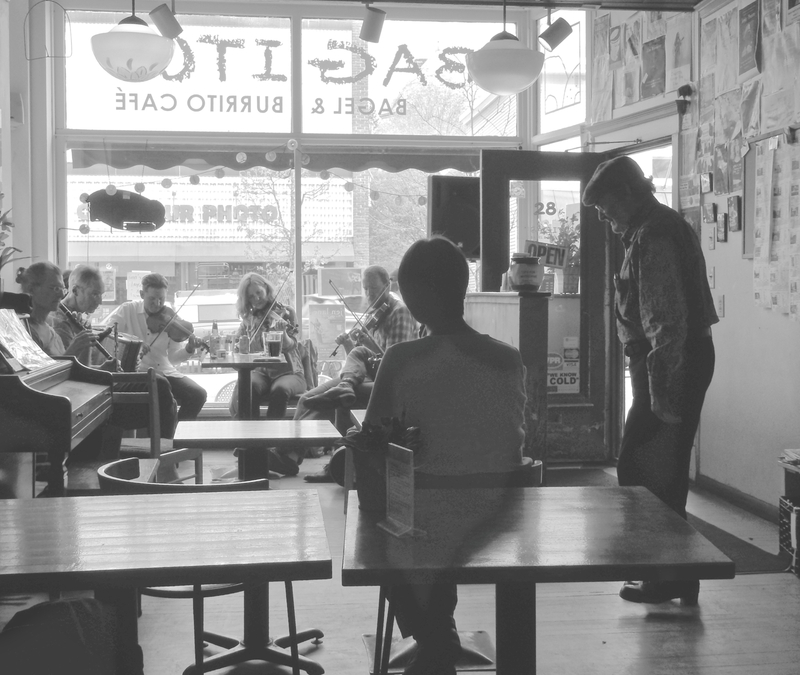 EAT/DRINK/DANCE: Bagitos Bagel and Burrito Café. Only in Vermont will you find a bagel place that doubles as a burrito/craft beer spot, that triples as a live music (day and night!) venue. Saturdays from 2-5 stop in for Irish tunes and you just might find an old fella stepdancing away. EAT: Kismet. 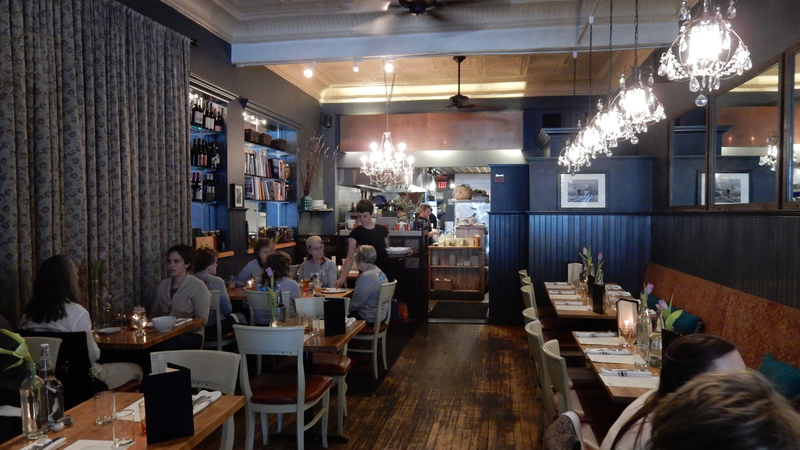 This small earth-to-fork spot is spot on with a range of seasonal dishes. The Fingerling Fries are to die for, “Leaves and Seeds” ($12) are literally lettuce leaves pulled right from the garden, and dishes like Cod with Chili Sauce ($27) set on wilted greens is light and delightful. FYI – even on a weeknight, the place is packed by 6pm. STAY: Inn At Montpelier. 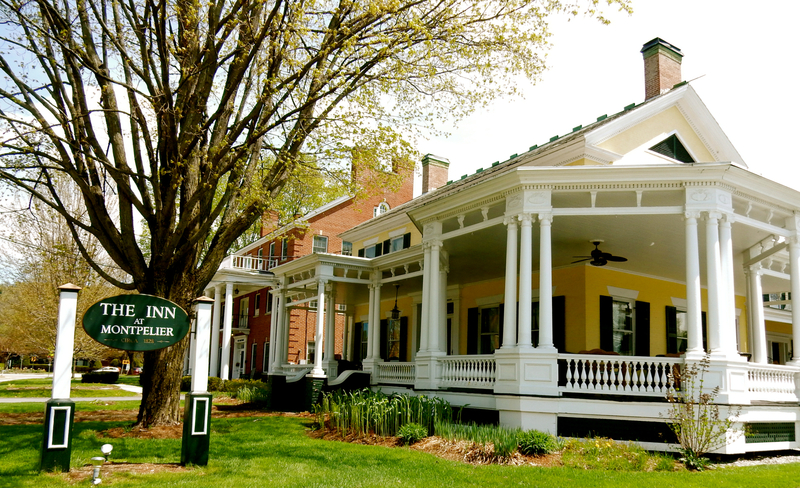 Though not ultra-luxe, the Inn @ Montpelier is clean, charming and welcoming. 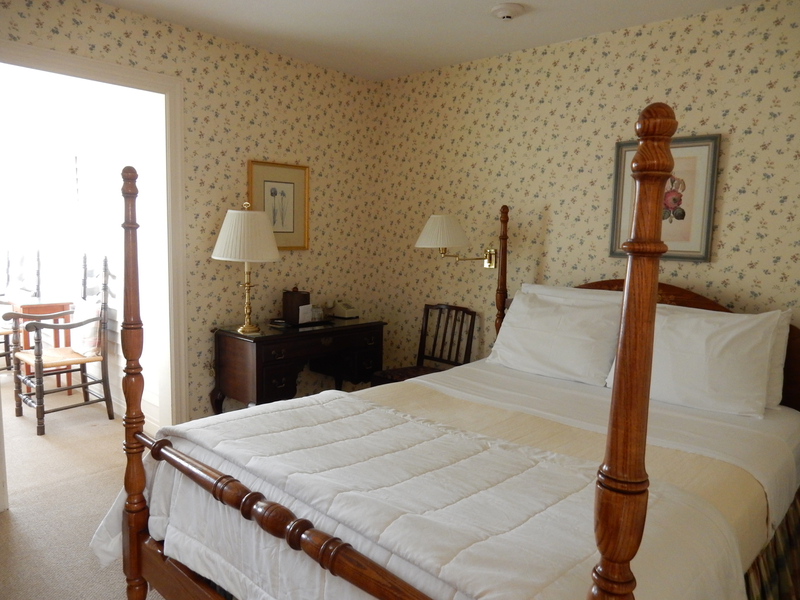 Refreshed rooms (new bedding and carpeting) are available in the main house and another building steps away, and range from cute-small to large and plush. Mine – at the mid price point of $140, was bright and cheerful with floral wallpaper, a tiny enclosed porch and small clean bathroom with shower tub. What makes this place ideal is its charm and proximity to town – just one block from the start of the business district and a walk to everything from restaurants to the State House and History Museum. Continental breakfast in the nicely decorated main house is complementary with stay. Rooms from $140-$270 depending on size, category and season, include breakfast, wi-fi and parking.